This Creative After Effects book helps you to realize your creative potential with a working knowledge of After Effects 7. Renowned artist and designer Angie Taylor demonstrates professional workflows and inspires with practical tutorial lessons that help put the theory (and you!) to work. You’ll learn from a comprehensive survey of the new interface and features, with illustrated techniques for animation, visual effects and motion graphics. Practice exercises to reinforce essential techniques, and continuous projects challenge you with fantastically creative uses of the application. The companion DVD includes everything you’ll need to complete the tutorials as well as an array of bonus plug-ins and demo software. 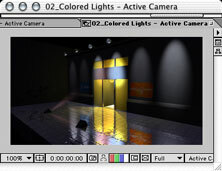 A companion DVD with tutorial media and valuable plug-ins. Birgitta Hosea, Artist and Course Director of MA Character Animation, Central Saint Martins College of Art and Design, London. Chris Cunningham, Director of music videos, commercials and video art. Steve Kilisky, Senior Product Manager, After Effects, Adobe Systems Inc.
“Angie Taylor’s work is inspired. She is a highly creative animator – inventive, witty and naturally sympathetic to individual programme styles”. “This book takes you on a rollercoaster ride through the world of creating animation and special effects with Adobe After Effects. It is much more than just a software manual, Angie Taylor seeks to stimulate the creative use of computer animation. Complex technical issues are clearly and concisely explained, making it suitable for beginners as well as the more advanced users”. Birgitta Hosea, Course Director, London Animation Studio, Central St. Martins College of Art and Design, London.